Malden Eats, in collaboration with Malden Reads, is excited to announce the return of the Malden Eats Community Dinner series. We invite you to share a convivial meal, at the same time exploring themes related this year’s Malden Reads selection, “Mr. Penumbra’s 24-hour Bookstore” by Robin Sloan. You do not need to have read the book to attend. 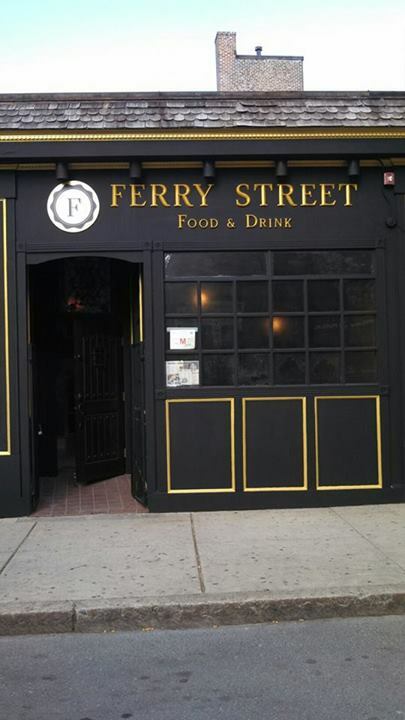 On Tuesday, March 3 at 7 p.m., join fellow Maldonians for a fun and relaxing meal at Ferry Street Food & Drink located 118 Ferry St. in Malden. Enjoy the fine food and drink from this “gastro pub,” which refers to a bar and restaurant that specializes in high-end beer and food. The atmosphere is warm and boasts a local tavern-like vibe. 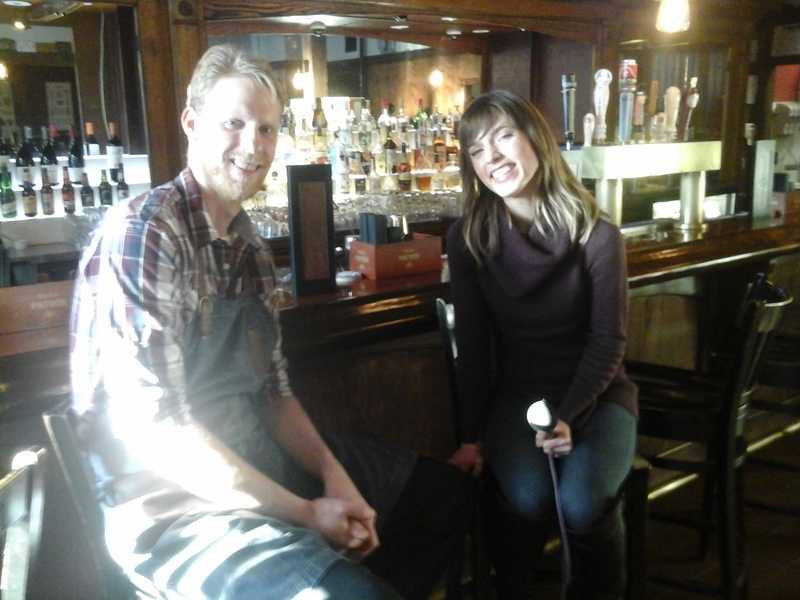 Ferry Street Food & Drink chef Jason Ladd chats with Neighborhood View’s Kylie Garcia. Shannon and Jason Ladd opened this neighborhood hot spot last May. The duo met in culinary school at Johnson & Wales in Rhode Island. Chef Jason is originally from Texas and the menu has elements from his home state, including BBQ pork meatball appetizer served over cheddar grits. Shannon, originally from upstate New York, says the menu for the Tuesday, March 3 dinner will be a garden salad starter, choice of homemade pasta with milk braised pork and butternut squash or Cajun jambalaya (both dishes can be made vegetarian), and chocolate pots de creme with raspberries and whipped cream for dessert..
Space is limited, so reservations with the restaurant are highly recommended. Call 781-321-0265 by Sunday, March 1 to make your reservation. Be sure to specify that you are with the Malden Reads dinner. Those unable to honor their reservations are asked to cancel so the next person on the list can attend. The meal will cost $20 not including tax, tip and beverage. For more information about the Malden Reads program and events, click here. In the video below, Ferry Street Food & Drink chef Jason Ladd chats with Neighborhood View reporter Kylie Garcia about the upcoming Malden Eats community dinner.